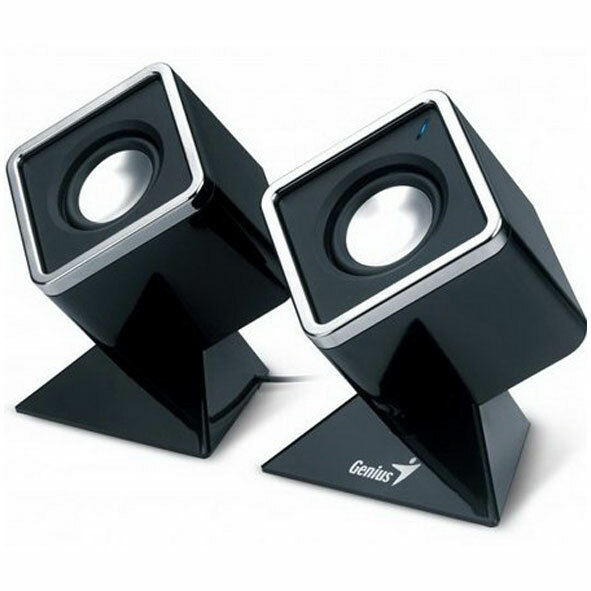 The Genius cubed USB powered speakers, SP-D120 & SP-D150, provide impressive power for rich bass and crisp, clear vocals, giving you exceptional audio from your notebook or MP3 player. The sleek design and the aluminium type finish on the speaker cover complement your computer with a refreshing new style. 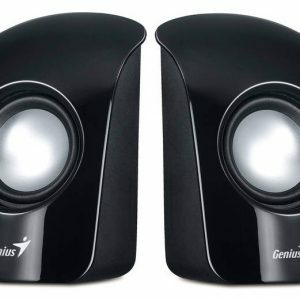 They not only look great – they sound amazing, transforming your computer into a superb hi-fi stereo sound system. 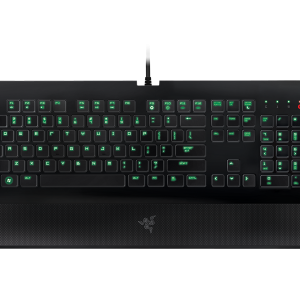 Two colours are available: shiny black or white. SP-D150 – total of 4 watts (RMS) audio output. 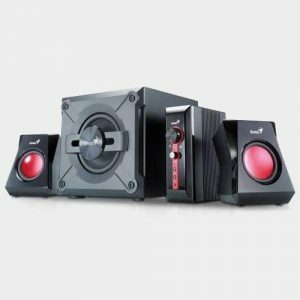 Curvaceous satellite speakers with hook design, adjustable volume and bass controls MIC jack for online talking with other game players and headphone hack for private listening.